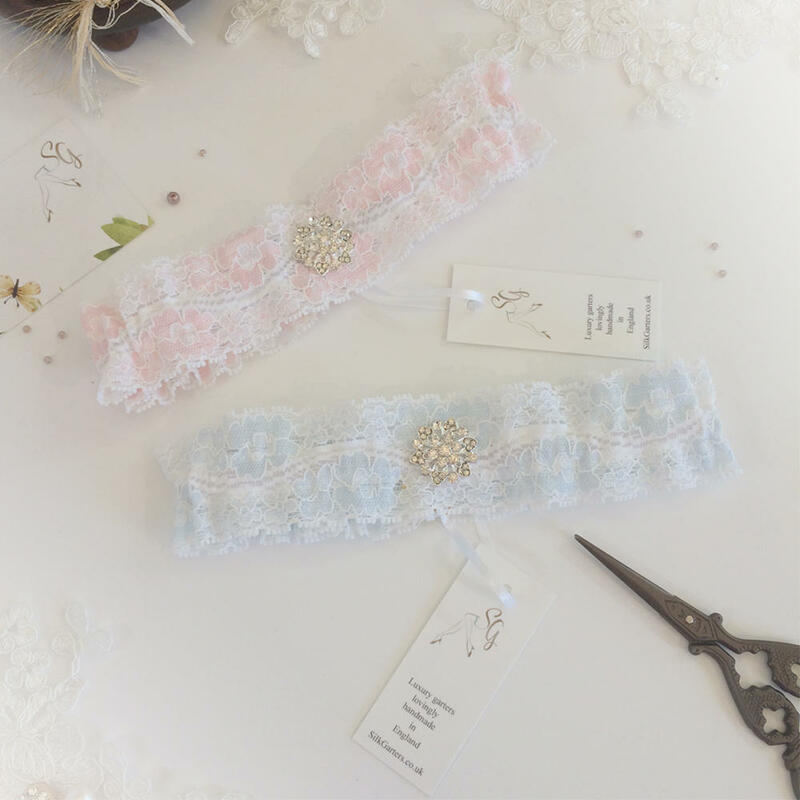 This is the gorgeous new 'Ellie' garter and has been designed for the bride who has chosen a slim fitting dress but would be perfect under any style because of it's flat, narrow shape just 3cm deep. Made from the softest white lace with shimmering flowers in either pale blue or a dainty pink. The flowers flow in an undulating vine of dainty little forget-me-nots and precious roses. An elegant crystal completes this pretty garter. Choose from white with pale blue or white with dainty pink.